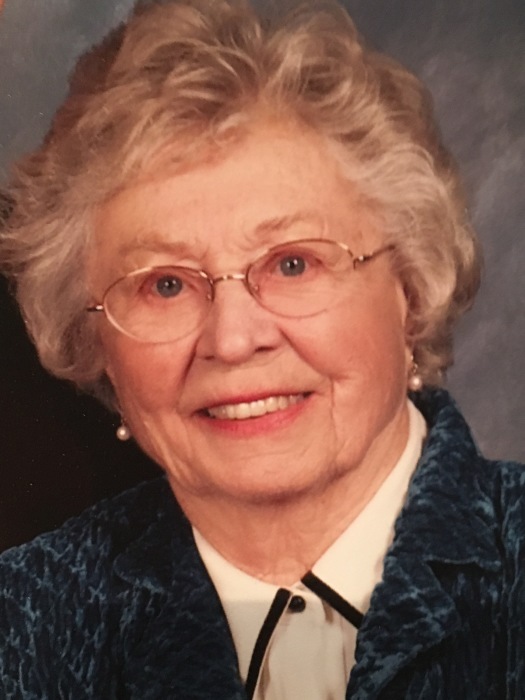 Wilma Rosbach Brown, 96 passed away January 31, 2018 after a short battle with cancer at the Chehalis West Assisted-Living facility. Wilma Hanson was born in Carrington, North Dakota on August 7th, 1921 to Nels and Grace Hanson and was the youngest of four children. Her parents settled on the top of Newaukum Hill on a 40-acre farm. Wilma graduated from Napavine High School in 1939. Interested in business, Wilma worked as a bookkeeper at Thompson Feed Company in Chehalis and met her husband, Charles Rosbach at a Newaukum Hill Grange dance. They were married in June of 1942. They made their home in Neuwaukum Valley where they raised their four children, Steve, Susan, Jeffrey and Jennifer and enjoyed 52 years of marriage. In later years they built a home in front of Wilma’s parents’ home on Newaukum Valley. Wilma and Chuck purchased Children’s Apparel Shop in 1956 and expanded to the brick building on Market Street west of the St. Helens Hotel. They owned and ran Children’s Apparel for approximately 30 years. Wilma was a member of the Westminster Presbyterian Church, serving on the finance committee for 15 years. She was a member of the Elizabeth Curry Guild and PEO. In 1978 Wilma was elected to the Washington State House of Representatives where she served two terms. She chaired the Natural Resources committee and took great pride in representing her community and the state. Wilma also served on the boards of Lewis Federal and the Claquato Cemetery. Wilma was active in the Riverside Women’s Golf Club serving as president and treasurer over the years. She enjoyed golf ladies and golf. She met and married Charlie Brown of Chehalis on April 23, 1998. They shared an active life with interest in their families and friends. Wilma lived three years at Woodland Village moving to Chehalis West Assisted Living in September of 2017. Assured Hospice care supported her final weeks. The family thanks all these caring professionals. Wilma is preceded in death by her first husband, Charles W. Rosbach, her second husband, Charles W. Brown, her brother Nels Hanson and sister Joyce Jones both of Olympia WA and Joy Beaver of Monroe, LA and her daughter Jennifer Macke. She is succeeded by her children, Steve and (Christine) Rosbach of Ellensburg, WA., Susan Stewart and (T.J.) of Mercer Island, WA, Jeffrey and (Mavis) Rosbach of Buford, GA, and Dr. Edward Macke of Olympia, WA, nine grandchildren and seven great-grandchildren. A memorial service will take place at Westminster Presbyterian Church in Chehalis on Friday, February 9th at 1PM. Memorials can be made to Westminster Presbyterian Church 349 N. Market Boulevard, Chehalis 98532 or the charity of your choice.